Ministry of Home Affairs declares that appropriate visa category for Intended Parents for traveling to India for surrogacy is medical surrogacy visa. 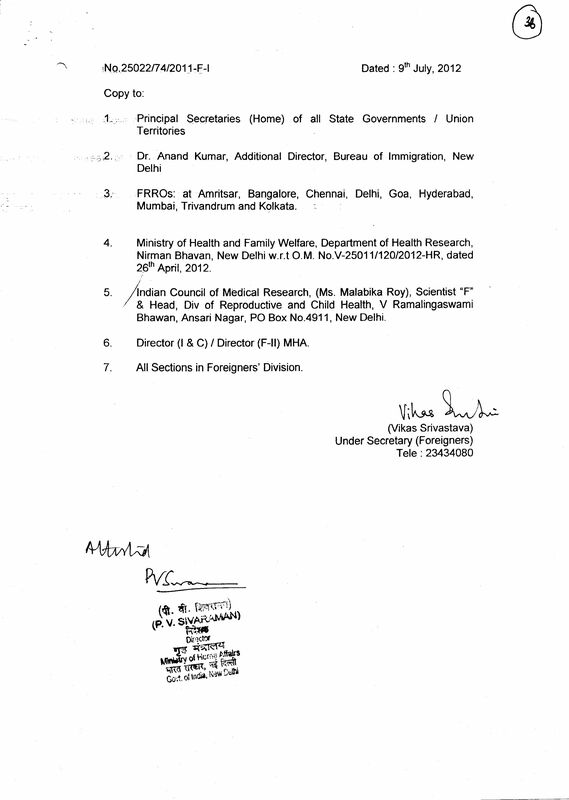 I have finally heard from the Ministry of Home Affairs (Foreigners Division) pertaining to RTI Application filed by me dated 10.07.2012 on the surrogacy VISA category. 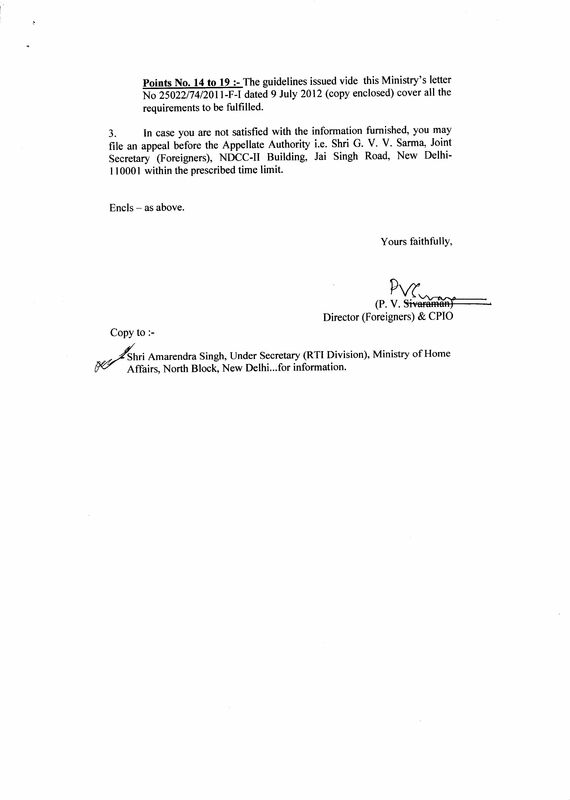 From the reply, I see that the Ministry of Home Affairs had addressed a letter to dated 09.07.2012 bearing File No.25022/74/2011-F-1, laying down the procedure for grant of VISA for foreign nationals, intending to visit India for surrogacy arrangements. Interestingly, the communication has been dated 9th July 2012, just one day prior to the date of my Right to Information Application. However, the notification pertaining to surrogacy has been on the websites of the Indian Embassies for almost six months now. The following instructions were issued to the Ministry of External Affairs and requested to be circulated to all Indian Missions abroad as per the communication in File No.25022/74/2011-F-1. 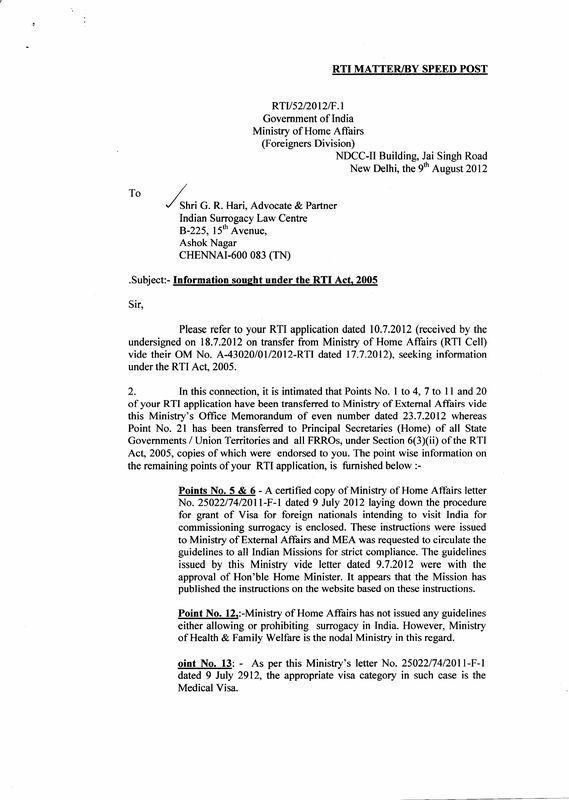 It is stated in the reply to RTI Application that the Home Affairs Minister has approved the Guidelines issued by the Ministry of Home Affairs. This is the basis on which the warning about surrogacy arrangements had been published in the websites of the Indian Embassies. The Ministry of Home Affairs has not issued any guidelines either allowing or prohibiting surrogacy in India. However, Ministry of Health and Family Welfare is the nodal Ministry in this regard. a) The foreign man and woman are duly married and the marriage should have sustained at least for two years. 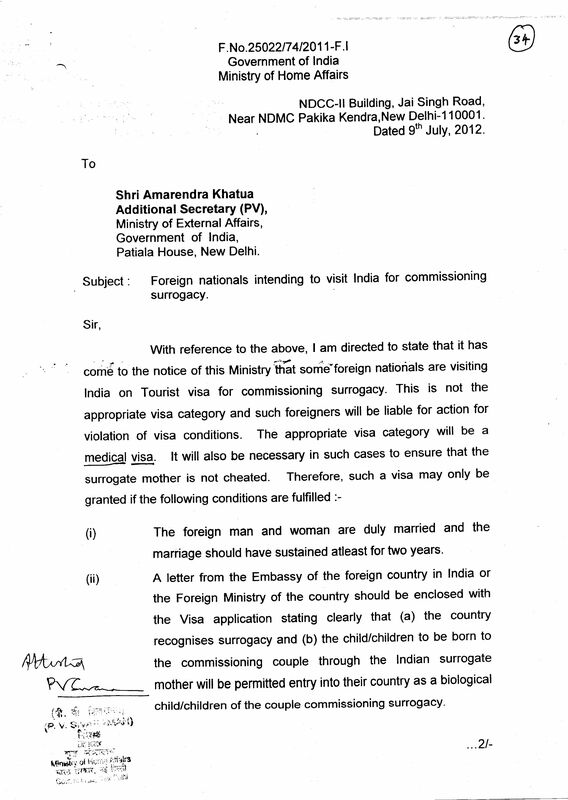 b) A letter from the Embassy of the foreign country in India or the Foreign Ministry of the country should be enclosed with the Medical Surrogacy VISA application stating clearly that (a) the country recognizes surrogacy and (b) the child/children to be born to the commissioning couple through the Indian surrogate mother will be permitted entry into their country as a biological child/children of the couple commissioning surrogacy. c) The couple will furnish an undertaking that they would take care of the child/children born through surrogacy. e) The couple should produce a duly notarized agreement between the applicant couple and the prospective Indian surrogate mother. If any of the above conditions are not fulfilled, the surrogacy visa application shall be rejected. 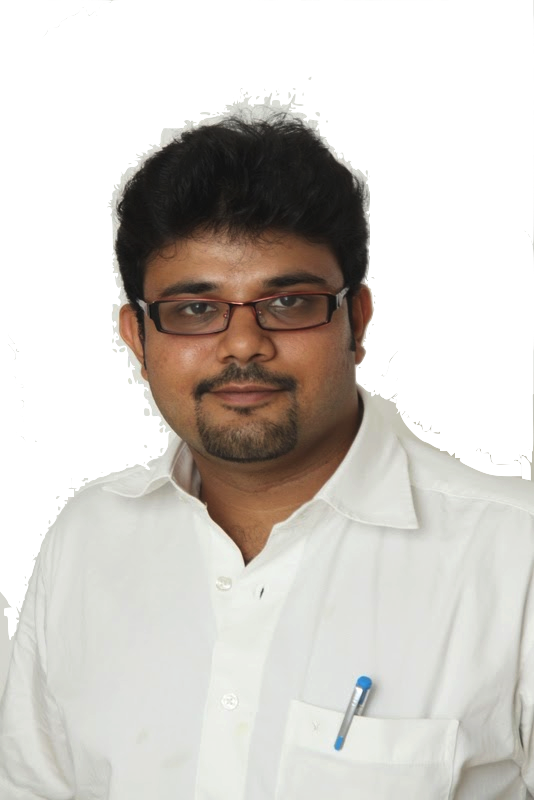 Further, before the grant of surrogacy visa, the foreign couple needs to be told that before leaving India for their return journey, ‘Exit’ permission from FRRO/FRO would be required. 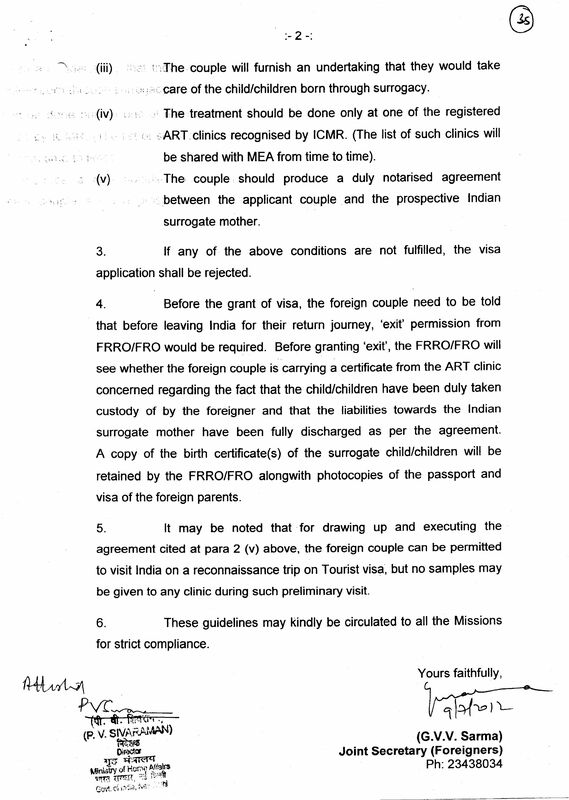 Before granting ‘exit’, the FRRO/FRO will see whether the foreign couple is carrying a certificate from the ART clinic concerned regarding the fact that the child/children have been duly taken custody of by the foreigner and that the liabilities towards the Indiansurrogate mother have been fully discharged as per the agreement. A copy of the birth certificate(s) of the surrogate child/children will be retained by the FRRO/FRO along with photocopies of the passport and surrogacy visa of the foreign parents. However, the couple may visit India on a tourist VISA for executing the agreement on a reconnaissance trip, but no samples may be given to any clinic during such preliminary visit. 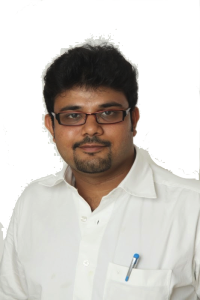 In summary, a commissioning couple seeking to take up surrogacy in India can sign a surrogacy agreementin a tourist VISA, but cannot provide samples to the clinic when they are in a tourist VISA. 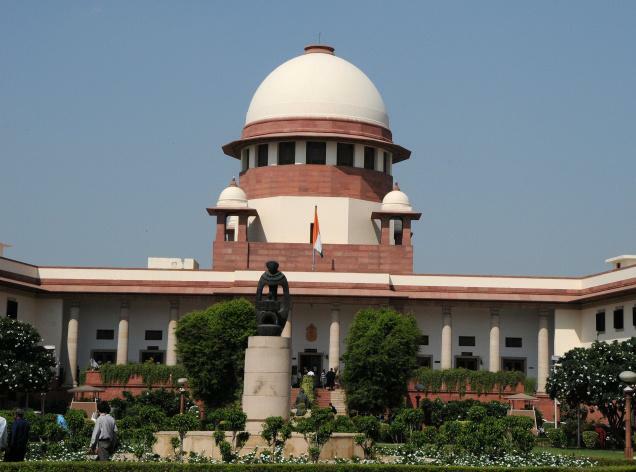 Further, the medical VISA would be granted only when the surrogacy agreement is submitted as annexure document along with the application. That means that the couple has to travel twice prior to taking up a surrogacy arrangement. Once for meeting with clinics and signing of the surrogacy agreement; and again for providing samples to the clinic. It certainly seems strange. India does not seem to be the only country caught in midst of legal controversies over issues of surrogacy. France is also facing a similar question. A French couple, Dominique and Sylvie Mennesson paid a surrogate mother in California about $10,000 in 2000 to carry their child. The surrogate mother carried the child to term and have birth to twin daughters. On birth the twins Isa and Léa, were given US birth certificates recognising the Mennesson couple as the legal parents – but the French authorities refused to accept these. The Paris Court of Appeals had held that Dominique and Sylvie Mennesson were the legal parents of the children, but refused to consider the children as French citizens and denied French Citizenship. The couple have reportedly stated that they will take their case to the Cour de Cassation which is France’s highest court. They hope to set a legal precedent for other parents of children born to surrogate mothers, after six years of legal action. 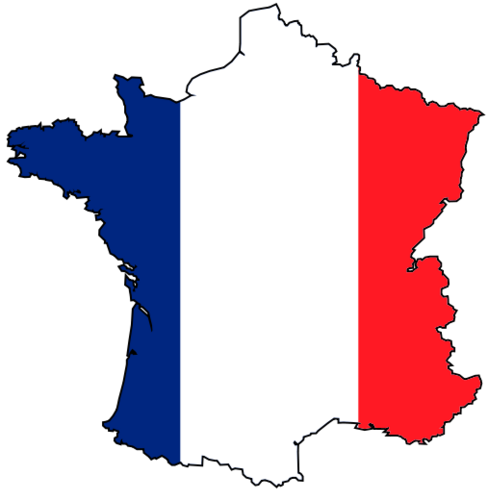 A draft law hoping to overturn the present French law of holding any agreement for procreation of child was presented to the Senate in January, but has yet to be discussed.